How to use Campaign Wizard to set up a new outreach campaign in no time and schedule the best time for your emails and follow ups to go out. You can select to create a campaign From template or From scratch. 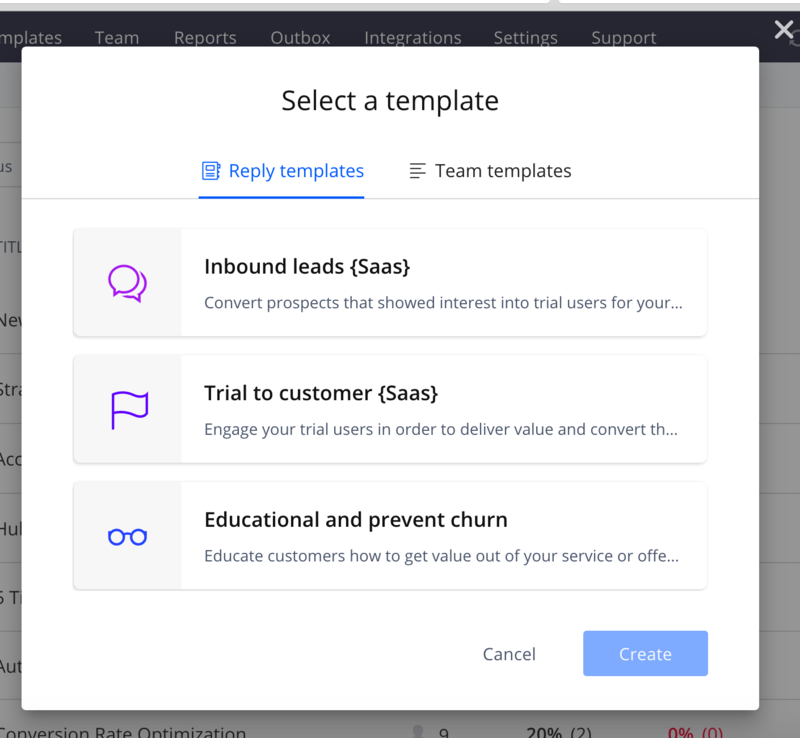 If you select the first option, you can choose between the templates from Reply and your team templates (in case you have team templates). 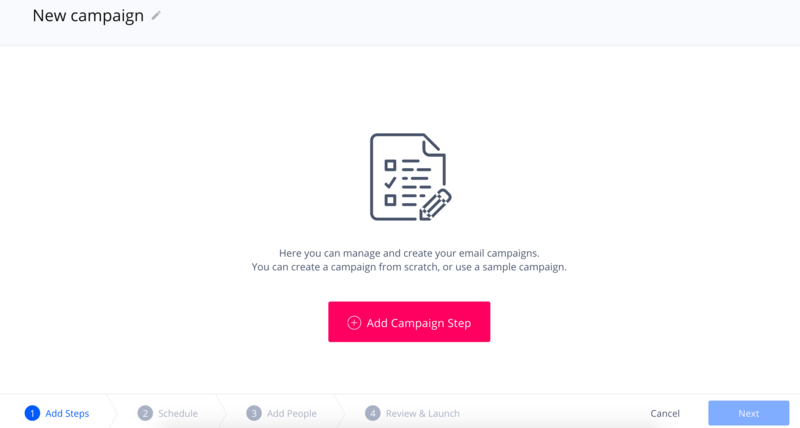 If you have decided to create a campaign From scratch, you need to create Campaign Steps, the flow in which your messages will go out in sequence starting from initial outreach to follow-ups. Click Add Campaign Step and you'll be redirected to the Template creation pop-up. Here you'll need to specify the email subject for your Step1 email. You can insert templates if they've been previously created and also insert variables. You can also attach any files with the size limited to 3MB total. 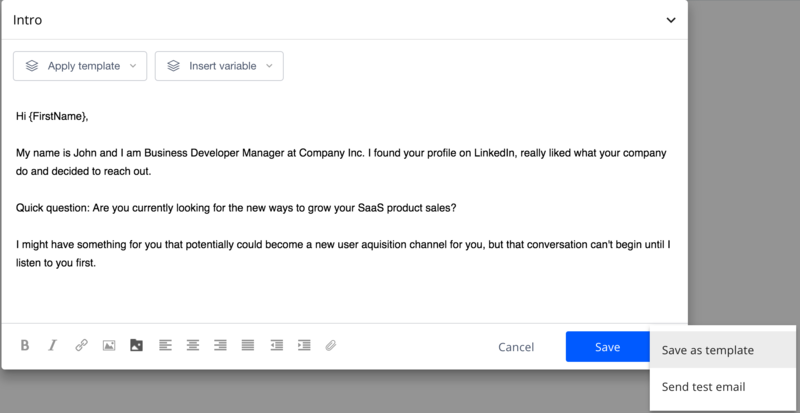 When you're done creating the step email template, you can save it as a template to the list of your personal templates, and also send a test email to your personal email account to see how it looks in your Inbox. Save the template for Step1 emails and you'll be navigated to the next stage of creating your campaign. 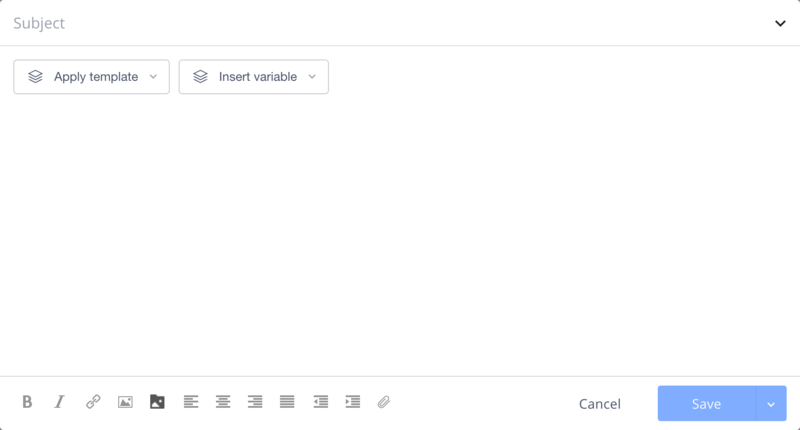 You'll be able to add more Steps, add a variant on an established step for A/B testing (to test several variants of emails sent randomly to your people in this campaign), to see which template variant gets better reply rates. On this stage, you can create as many Steps and variants you need, edit them, clone and remove. When adding follow-up emails, please note that if you want all campaign's step emails to be sent to the same thread, you need to leave the subject line for Step2 and further blank. Otherwise, the follow-up email will be sent separately even if the subject is the same as in Step1. Note: the campaign is saved automatically on each step. You can close the wizard and get back to editing steps later. 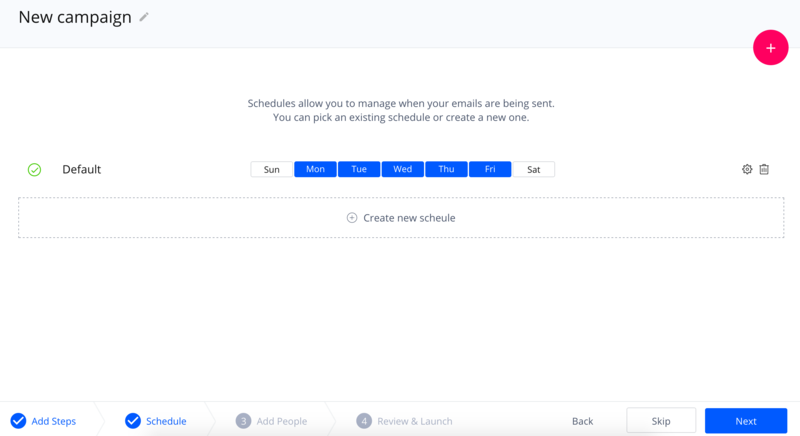 Next stage is Schedules, where you can specify when you want Reply to send your emails (weekdays and timeframe). You can skip schedules if you want emails to keep sending 24/7 or you want to get back to this section later. Select one of these and add people to your campaign. 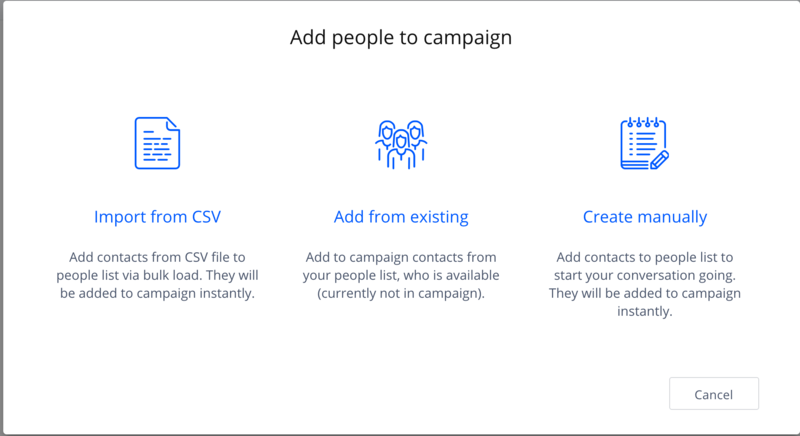 When you add people from existing, the prospects listed are all available to be added to the campaign, which means that any contacts associated with a different campaign will not appear. Select the desired people and add them to the campaign. After your Steps and Templates have been created and all of your People have been added to the campaign, you'll be able to Preview your email chain and tune all of the detailed Campaign Settings. Finally, your campaign is fully set up! You have the option of saving the campaign and launching later or saving and launching immediately.